It effectively inhibits dental plaque and dental calculus growth and reduces the incidence of oral odor and pet oral diseases. The oral care spray has a pH value >10, which can neutralize the oral acid. After use, the oral acid-base balance environment can then be maintained by the saliva cushioning effects. It effectively inhibits dental plaque and dental calculus growth and reduces the incidence of oral odor and pet oral diseases. This product is made entirely from natural plants and have passed the inspections of International Standards Certification Laboratory. 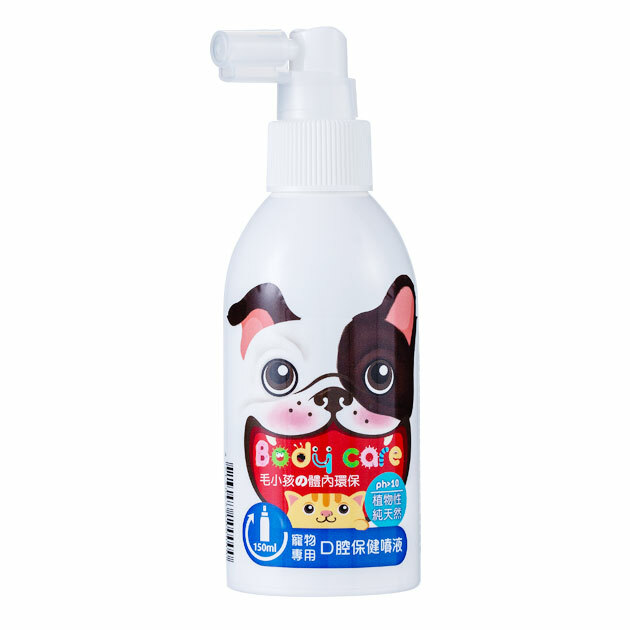 This product is certificated without any harmful materials, heavy metal and microorganism. 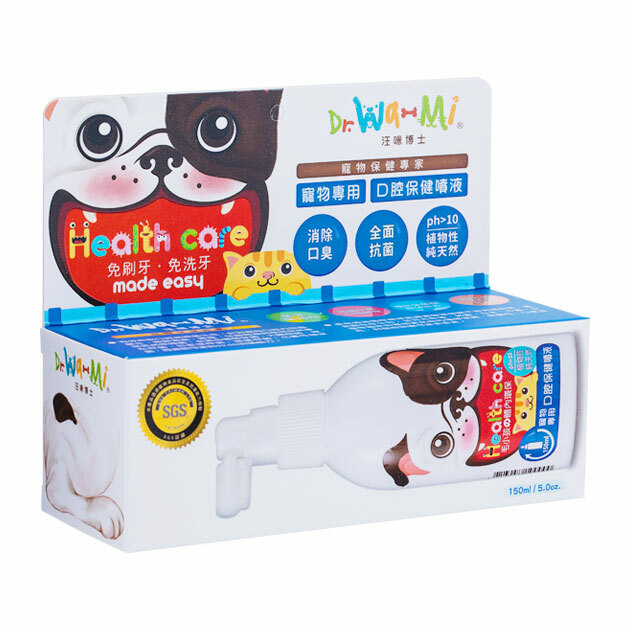 And our product is developed for against gingivitis, gumboil, abscess, the most common pathogenic bacteria around the tooth and root diseases . According to the experiments, the product can inhabit 99.9% of bacteria which is in line with the food-grade international standards established in EU, US, Japan, China, and Taiwan, etc. It’s fresh, moderate in taste and pets can swallow it directly without any harms.